Stephan is Senior Manager for Strategic Innovation Management at BASF SE. His focus is on developing and improving effectiveness and efficiency in planning and implementing business driven innovation. After holding positions in R&D, Business Development, Business Management, Strategic Planning & Controlling as well as Innovation Management, he is dedicated to creating value with individual people and the organization as a whole in an effort to make BASF more successful at creating profitable growth from innovation in fast developing and challenging business environments. 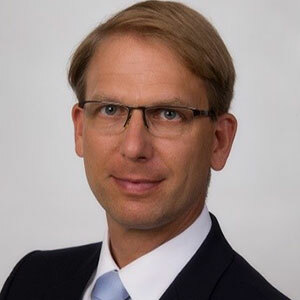 Stephan is also Professor at Mannheim University of Applied Sciences where he teaches International, Innovation and Technology and General Management with focus on key principles for strategic planning and operational implementation. His academic research is focused on how to create and how operate virtual innovation players successfully. Stephan is responsible for developing a new international study program in Engineering & Management dedicated to teaching competencies anticipated to be required from the University graduates in 2025 and beyond. Stephan holds a Ph.D. in Biophysics from EMBL, Heidelberg and University of Ulm, a Master in Physics and a Master in Economics from the University of Heidelberg. He is also an Honorary Professor at University of Ulm, Germany.